Opening Thursday September 1, 6 pm to 8 pm at Leslie-Lohman Museum of Gay & Lesbian Art’s Window Gallery. On view through November 4. 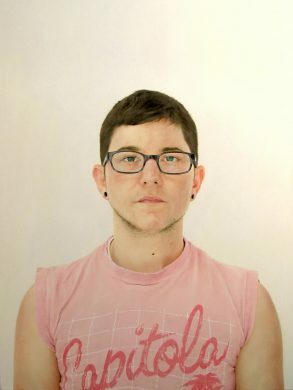 In this show, artist Cobi Moules has utilized the medium of traditional portraiture to render a journey of queer and trans selfhood—each portrait is a bit different, reflecting the artist’s own personal transition over this period of six years, whether it be more everyday shifts like outfits and facial expressions or more personal physical changes. This isn’t the first time Moules has used traditional artistic methods to make his own statements; in 2013 he was highlighted in The Advocate for his exhibition “Bois Just Wanna have Fun,” using 19th-century landscape painting and the romantic Hudson River School style as a way of representing his own Christian upbringing, filling these bucolic scenes with many versions of himself. Opening Friday September 2, 7 pm to 10 pm at Mountain Gallery. On view through September 24. 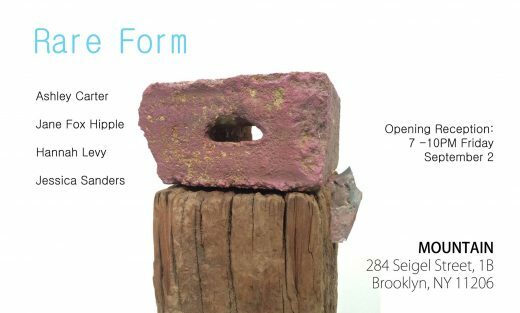 Opening Saturday September 3, 1 pm to 6 pm on Governors Island’s Center for the Holographic Arts. On view through September 25. 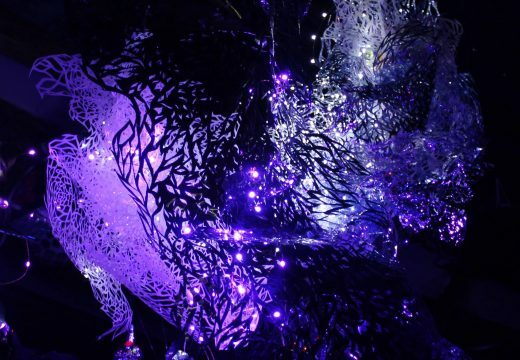 Multimedia artist Julia Sinelnikova, who has created installation work for many electronic music artists and nightlife events and performs as the Oracle of the notorious Vector Gallery, will be showing a new light sculpture work she’s created as part of a residency at the Center for Holographic Arts. The piece, based on light retractions, will be on view as part of the Governors Island Art Fair, so you’ll have plenty other art objects to scope out once you get off the ferry. That is, if you’re not blinded by the light first.